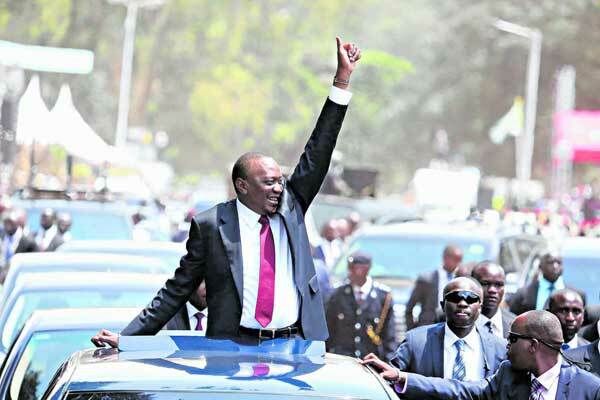 Preparations for President Uhuru Kenyatta’s swearing-in ceremony on Tuesday are complete and adequate security will be provided for those who will attend the event, the planning committee has said. The ceremony will cost Sh300 million, with insiders saying the bulk of the amount will go towards security. In 2013, when President Kenyatta was being sworn in for the first term, the committee had sought Sh1.2 billion, which the National Treasury later slashed to Sh374 million, with Sh64 million provided by the Judiciary. In this year’s budget, the Treasury gave Sh384 million for the ceremony, Sh10 million more than in 2013. The Assumption of Office of the President Committee said it had invited National Super Alliance (Nasa) leader Raila Odinga and the other six presidential candidates, as well as their running mates. Mr Kinyua asked Mr Odinga to shelve a planned parallel Nasa rally on Tuesday. “We should all work towards a cohesive, united Kenyan society,” Mr Kinyua told journalists at the Moi International Sports Centre, Kasarani, the venue of the inauguration. Mr Odinga withdrew from the October 26 repeat presidential election, whose results were unanimously upheld by a six-judge Supreme Court bench. Mr Odinga was protesting over lack of electoral reforms after he successfully challenged President Kenyatta’s August 8 win. The other six candidates are Dr Ekuru Aukot, Mr Cyrus Jirongo, Mr Abduba Dida, Mr Joe Nyagah, Dr Japheth Kavinga Kaluyu and Prof Michael Wainaina.